Why is life purpose important? Your life purpose consists of the central motivating aims of your life—the reasons you get up in the morning. Purpose can guide life decisions, influence behavior, shape goals, offer a sense of direction, and create meaning. For some people, purpose is connected to vocation—meaningful, satisfying work. For others, their purpose lies in their responsibilities to their family or friends. Others seek meaning through spirituality or religious beliefs. Some people may find their purpose clearly expressed in all these aspects of life. Purpose will be unique for everyone; what you identify as your path may be different from others. What’s more, your purpose can actually shift and change throughout life in response to the evolving priorities and fluctuations of your own experiences. When do I feel fulfilled? I have a job as a legal aide, which is pretty interesting and pays fairly well. But my real love is music. I love to play my cello, and I practice a few hours a day. I especially love to perform for others and bring beauty to a special occasion, like a wedding. A few years ago, my father was very sick in the hospital. I was so impressed by the nurses there and how they made such a difference to my father and our family that I decided that I wanted to have a job like that. So I went to nursing school, and now I work as an RN in a local clinic. I have always felt that my purpose is to take care of others. Now I have the opportunity to do that every day with my children. Some people feel hesitant about pursuing their life purpose because they worry that it sounds like a self-serving or selfish quest. However, true purpose is about recognizing your own gifts and using them to contribute to the world—whether those gifts are playing beautiful music for others to enjoy, helping friends solve problems, or simply bringing more joy into the lives of those around you. Richard Leider, a nationally-ranked coach and purpose expert, says that “genuine purpose points to the end of a self-absorbed, self-serving relationship to life.” When your authentic purpose becomes clear, you will be able to share it with the whole world. The equation for purpose is G + P + V = P.
Our life can be seen as a nautilus that adds new chambers to its shell as it grows and needs more space. Likewise, as people grow into a different phase of life, their old chambers can feel cramped. They begin to ask what they can do to expand their space. Moving into new chambers opens up the way for new possibilities to emerge, allowing our life purpose to evolve. But this can also prompt physical, mental, emotional, and spiritual transitions and even sometimes a chaotic period as we begin to ask new questions. This is the secret to a fully alive life: to reframe our life questions over and over. As we do, at different stages of our lives, we find different questions and different possibilities. Viewing your life in a big-picture context can help you develop a better picture of where you came from and where you’d like to go. Use this exercise to see your whole story, from birth to death. 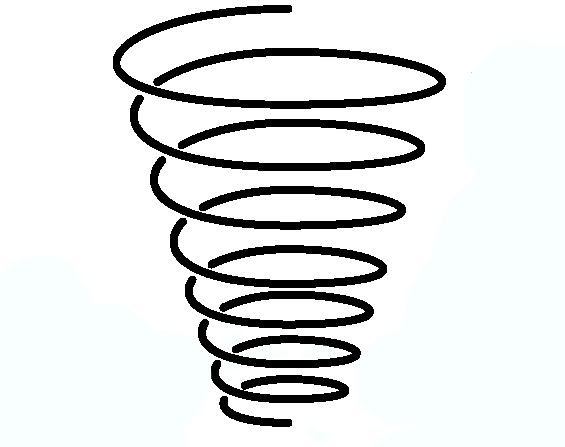 At the bottom of the spiral, write your date of birth. At the top, write the age you think you will live to be. Mark the place on the spiral which represents your current age. How far along are you in this life? What feelings does this evoke? Record three trigger experiences that shaped your life story. These could be any major life events, breakthroughs or breakdowns, such as weddings, divorces, moves, losses, career changes, etc. Write down the age each trigger took place. What was the life lesson learned in each case? Focus on each of these life lessons—what did they teach you, and how did they change you? Can you gauge from this exercise where you are in your life today and where you’d like to be by the end of it? What would a life well lived look like? Seeing your life in this broader perspective can help identify what is meaningful and valuable to you. Adapted with permission of Inventure-The Purpose Company (www.inventuregroup.com), 2013. You can also download this exercise as a PDF. Leider, R. (2010). A year of living purposefully. Living on Purpose. Retrieved from http://richardleiderblog.info/. Parks, S.D. (2011). Big questions, worthy dreams: Mentoring emerging adults in their search for meaning, purpose, and faith. New York: Jossey-Bass.